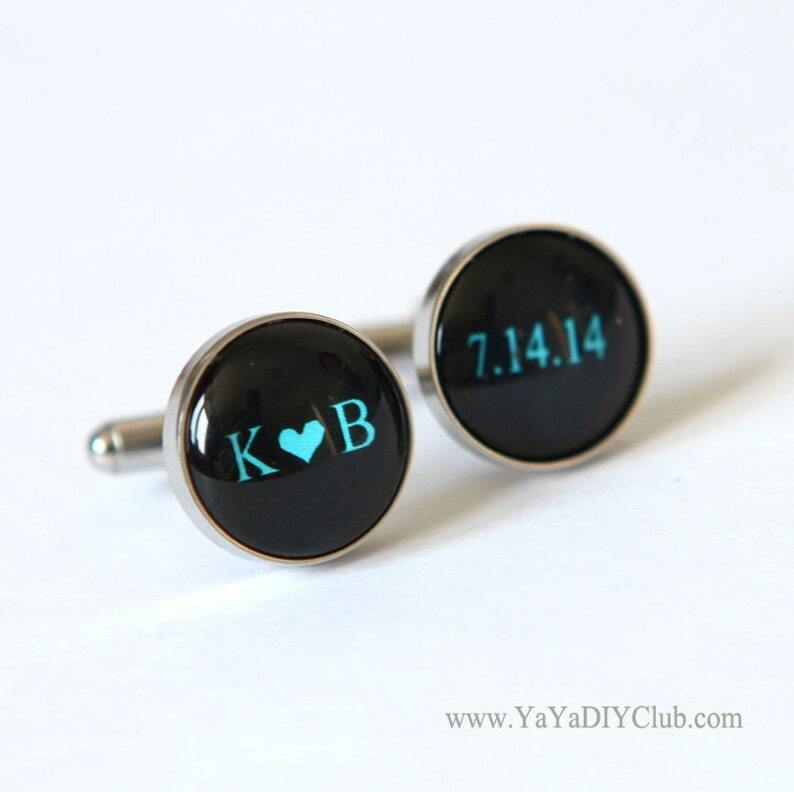 Custom Personalized Cufflinks for your big day - Wedding Initials Cufflinks Custom color, Date. Unique grooms gift from bride. The color and text is completely customizable. Perfect memorable gift for groom, best man, groomsmen gift and wedding favors. The color can be customized as desired.